In a big reminder to Train2Game students of how popular social games now are, Zynga’s latest title Empires & Allies has reached over 30 million users in less than 3 weeks. According to AppData, Strategy game Empires & Allies gained 20 million of those players in the last week. 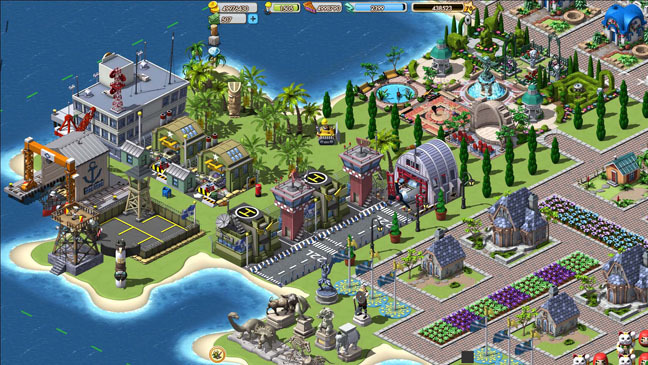 The game Zygna said has “more social features than any Zynga game” was released on at the beginning of June. Empires & Allies is free-to-play, but like many other Zynga and social media games, players can spend money to help them progress faster. For more information on Freemium games, their increasing popularity, and how this could be important for Train2Game students, see the Train2Game blog. As the Train2Game blog reported earlier this year, a survey suggested that 70% of internet users play casual games. Social games are therefore potentially a lucrative market forTrain2Game students to be involved in. Indeed, the Train2Game blog also reported that Game Design isthe most important aspect of a social game, and that Game Designers behind them much larger roles than those who help produce console titles. In theory that means creating a social game could allow a Train2Game Game Designer more of an opportunity to flex their creative muscle. Whatever your opinion of Facebook games, it’s hard to argue with such high user numbers, although there’s some way to go before reaching Cityville’s 100 million players. As reported by the Train2Game blog in January, it’s previously been suggested that the social media gaming market will reach $1 billion this year. So Train2Game, what are your thoughts on the success of Empires & Allies? Would you develop Facebook games? This entry was posted in games, Train2Game and tagged Empires & Allies, Facebook, Farmville, Game Design, social media gaming, Train2Game by Train2Game Blogger Team. Bookmark the permalink.